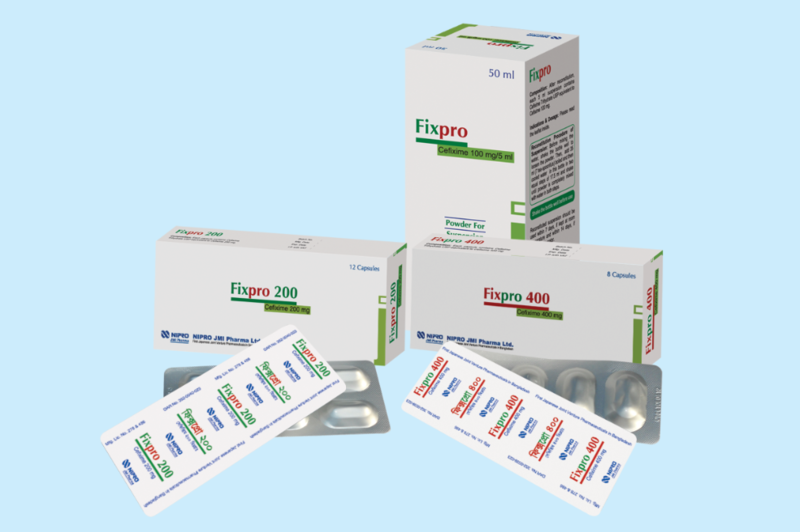 Fixpro (Cefixime) is a third generation semisynthetic cephalosporin antibiotic for oral administration. It is bactericidal against a broad spectrum of gram positive and gram negative bacteria at easily achievable plasma concentrations. It is highly stable in the presence of Beta-lactamase enzyme. As a result, many organisms resistant to penicillins and some cephalsporins due to the presence of beta-lactamases, may be susceptible to Cefixime. Absorption of it is about 40% to 50% whether administered with or without food.